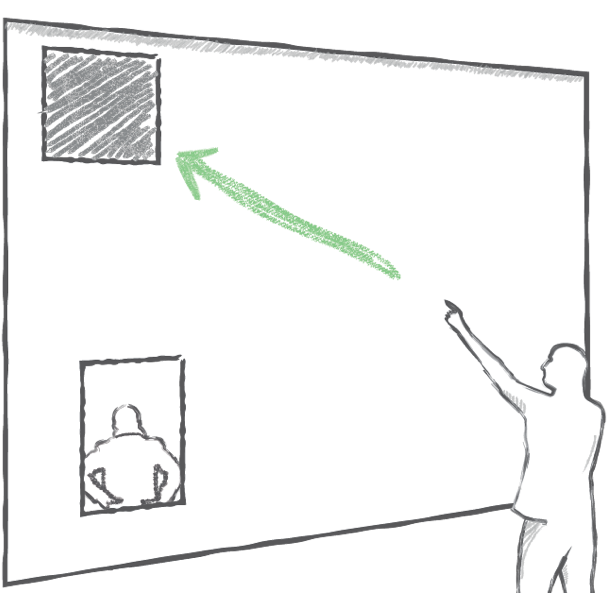 CamRay is a system for remote collaboration across wall-sized displays. 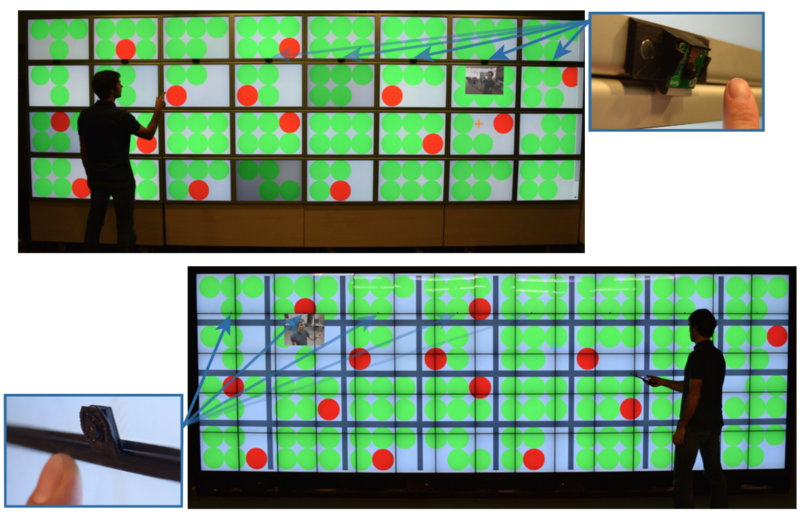 An array of cameras captures users' faces as they physically navigate data on a wall-sized display, and presents this video on top of existing content on a remote display. This tool is designed to explore collaboration needs across wall-sized displays and how to support them. I propose two ways of displaying video: Follow-Local, where the video feed of the remote collaborator follows the local user, and Follow-Remote, where it follows the remote user. 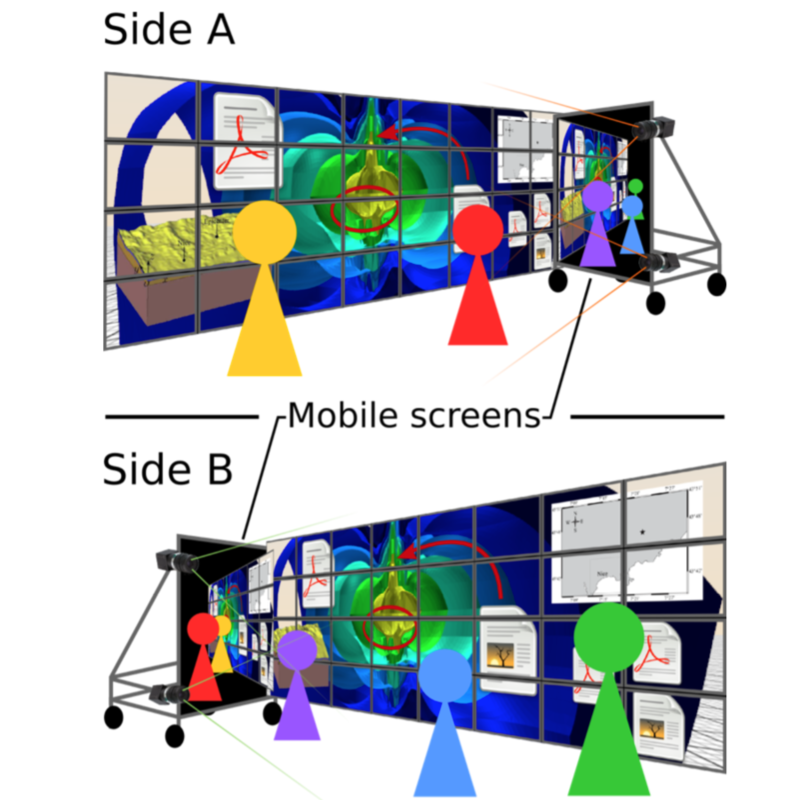 I find that Follow-Remote preserves the spatial relations between the remote speaker and the content, supporting pointing gestures, while Follow-Local enables virtual face-to-face conversations, supporting representational gestures. Ignacio Avellino, Cédric Fleury, Wendy E. Mackay, and Michel Beaudouin-Lafon. Proc. ACM CHI 2017. 10 + 2 pages. Ignacio Avellino, Cédric Fleury, and Michel Beaudouin-Lafon. Proc. ACM CHI 2015. 4 pages. Cédric Fleury, Ignacio Avellino, Michel Beaudouin-Lafon, and Wendy E. Mackay.